A bridal wear peacock pattern gold pendant hooked to long coimbatore pattern gold chain mangalsutra. 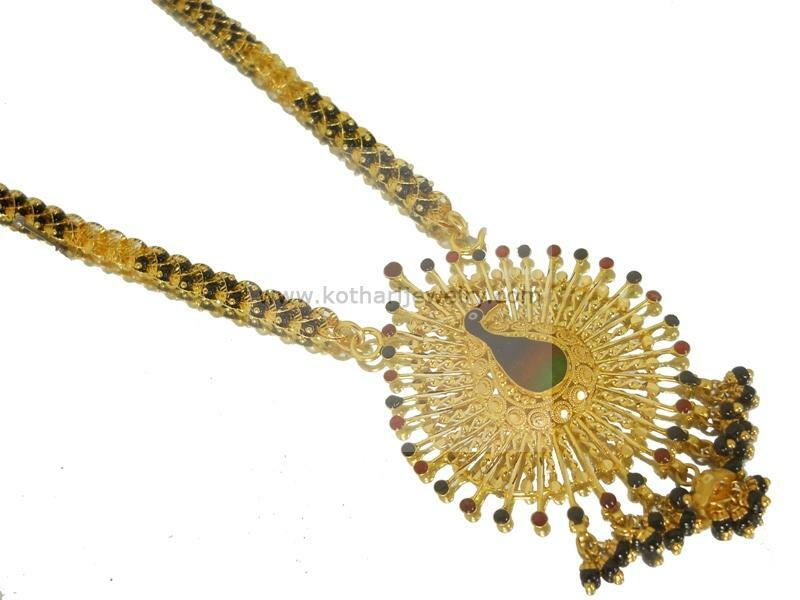 This delicately crafted peacock gold mangalsutra pendant consists of black beads attached at the bottom. The mangalsutra is 22k 916 BIS hallmarked.